Has been made on grandson's quilt. Just loving the look of it and it is gobbling up lots of the scraps and stash. 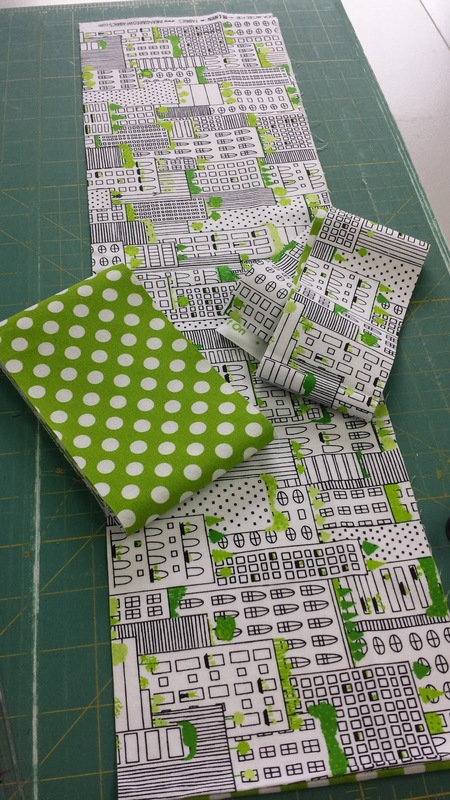 I also bought some new fabric (Shock, Horror!) but it got cut up and straight into the basket of strips for this quilt. Love that. Bradley's favourite colour is green just like his Nana, so I have lots of lovely leftovers that can go into this quilt. Just loved the city scape and the dot was a great match. I actually bought solely because I loved them and then discovered they fitted well into this quilt. It is a pattern from the magazine "Modern Quilts" Fall issue 2015. As you can see some progress has been made. 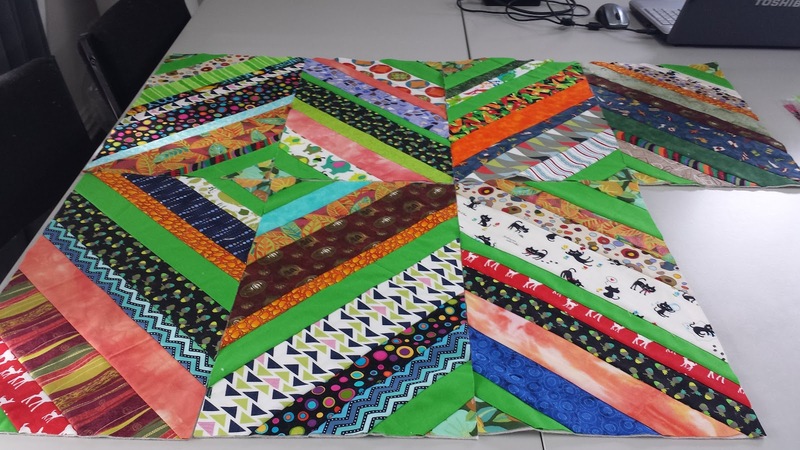 Also like that they are big blocks - 10.5 x 18.5 then trimmed down by half an inch, it is quilt as you go without the backing fabric and colourful. Assembled as a normal quilt too. As this grandson is 6 foot 5 inches, it will need to be rather a large quilt!! He does not take after his Nana....lol. Really loving the way it is coming out. I'm linking to Oh Scrap check out the neat quilts. I'm loving that. That bright green is groovy. Ooh I love the bright fabrics in this quilt, your Grandson will love it. Enjoy the rest of the weekend.